Review: SEVEN OUT OF TEN STROLLERS. 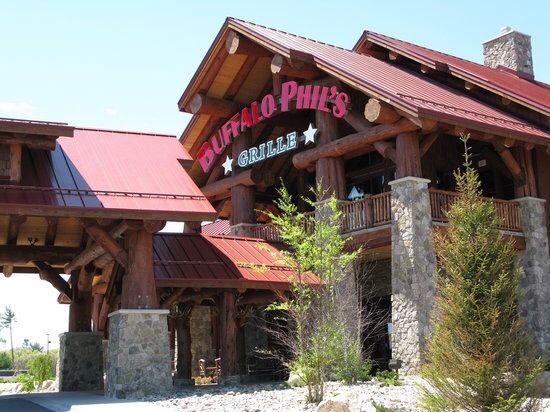 Located in the family friendly Wisconsin Dells, Buffalo Phil’s is a dressed up diner- but one where your food is delivered to you by locomotive. Yes, that’s right your chips are delivered by choo-choo. Children will enjoy the atmosphere and really, it’s just fun. Don’t come looking for a Michelin star experience. Inside: Trains, trains and more trains. Seating accommodates the train delivery style so plan to sit like you are at a counter for the most hands-on experience. Comfort with Kids: Perfect for kids, designed for kids. 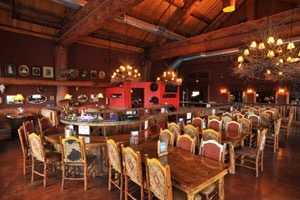 While you won’t find quiet it’s an adventure and they serve craft beers from Wisconsin’s best. The food: Tasty cheeseburger, but lots of options. Incredibly impressed that they offer allergen menus- gluten free, peanut free, milk free, etc. really means that all kids can enjoy.